Arrow glitching and spinning like crazy on horse while riding. 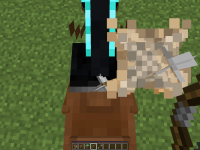 I was messing around and i was riding a tamed horse in creative with armour and a saddle and i was riding the horse when I accidently shot an arrow at my horse. 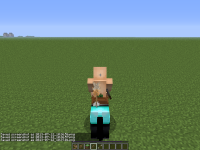 (shot looking strait down at horse back) It started glitching and spinning like crazy on top of the horse. 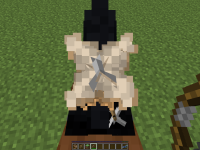 When I moved my horse away the arrow fell to the ground. I started laughing at this crazy bug. I expected the arrow to hurt the horse. 3. Get a bow and arrow. 4. 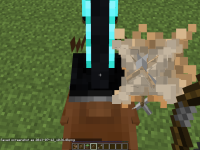 Ride horse and look directly down at the horse's back and fire the arrow.